The countdown to summer has officially begun! They’re always hard as rocks in the store, but that’s actually a good thing! Once ripe, you can toss the avocados into this 5-minute salsa verde, or slice them for up for tacos, or serve a top ceviche. Or mash and serve on toast, or toss half in a smoothie, or enjoy right out of the skin with a sprinkle of salt. 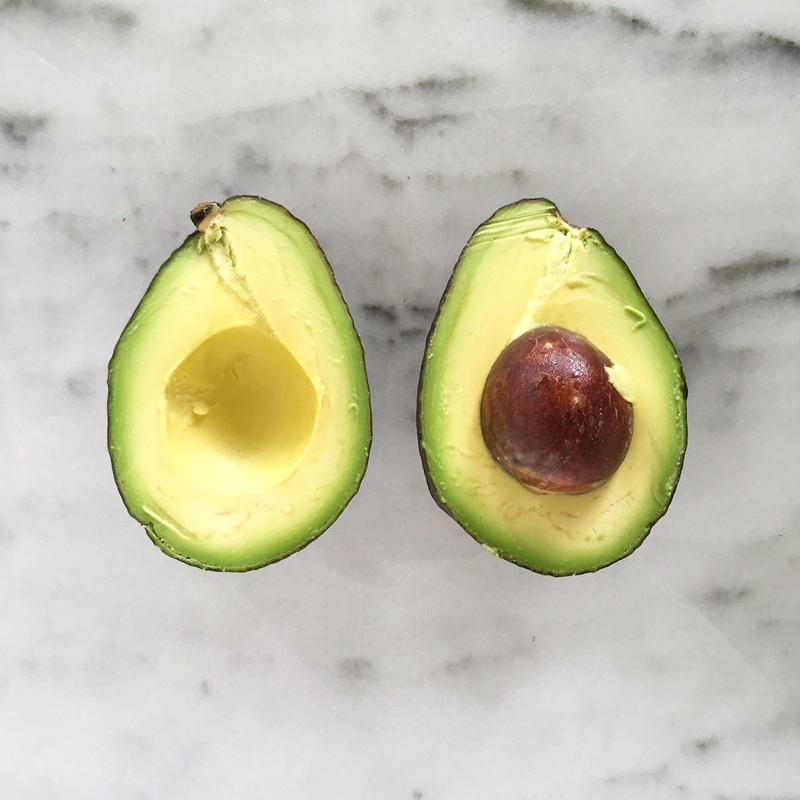 Bottom line: these are great to have around, and if you follow my tips for ripening and storing, you’ll have a perfectly ripe avocado ready-to-eat any day of the week! I love cold smoothies on hot summer days, and these chia seeds are a great way to add extra nutrients to those. With so many health benefits, chia seeds pack a powerful punch. You can use them to make chia pudding, or sprinkle them into homemade baked goods or onto foods like yogurt or cereal. How do you like your chia seeds? I’m always looking for new ideas! I like traditional cucumbers, but I love these. These little Persian Cucumbers are delightfully crisp, seedless and have a very tender skin, so no need to peel or seed. Try them sliced with a pinch of salt, or tossed into salads. And they’re prefect for little hands to munch on or dip into ranch or easy homemade hummus. This is my favorite iced tea of all time. 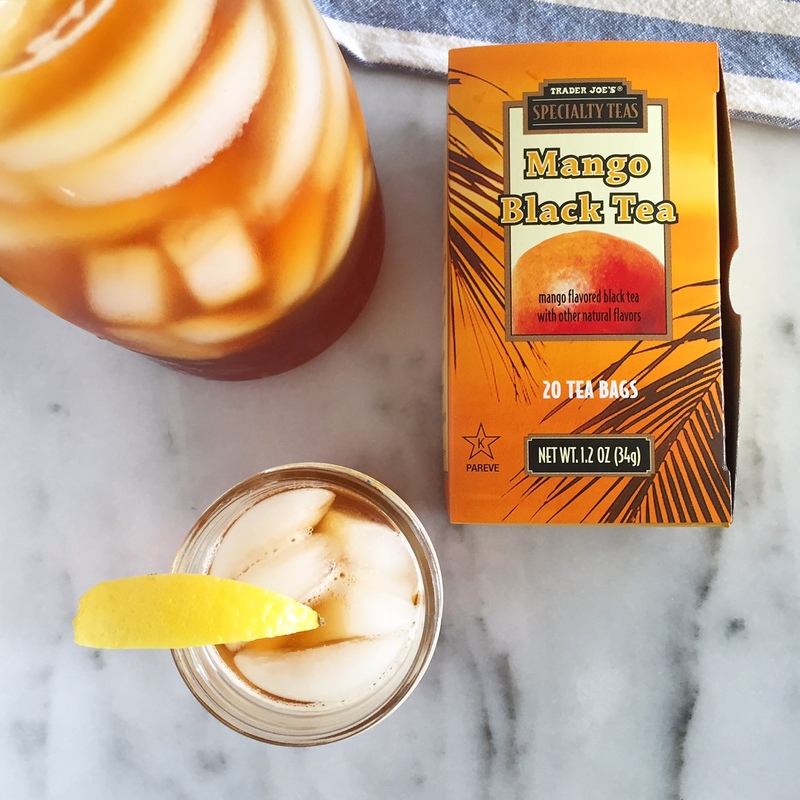 With just a hint of mango, this tea is smooth and refreshing. Perfect for sipping by the pool, or packing up for a picnic at the beach! Pecans aren’t really a summer food, but these are so unbelievably good you’ll want to eat them all year round. They are just barely sweet with a wonderful roasted flavor and a fantastic crispy crunch. I store mine in the freezer and then grab a handful for snacks or toss on salads. They are also perfect in trail mix, or combined with a handful (or five) of dark chocolate chips! Do you shop at Trader Joe’s? Would love to know your favorite items! What if you don’t have a Trader Joe’s in your area? Avocados, chia seeds and baby cucumbers should all be available at your local grocery. As for the Mango Black Tea and Candied Pecans, you can find those on Amazon here and here, although they are quite a bit more expensive than in the store.